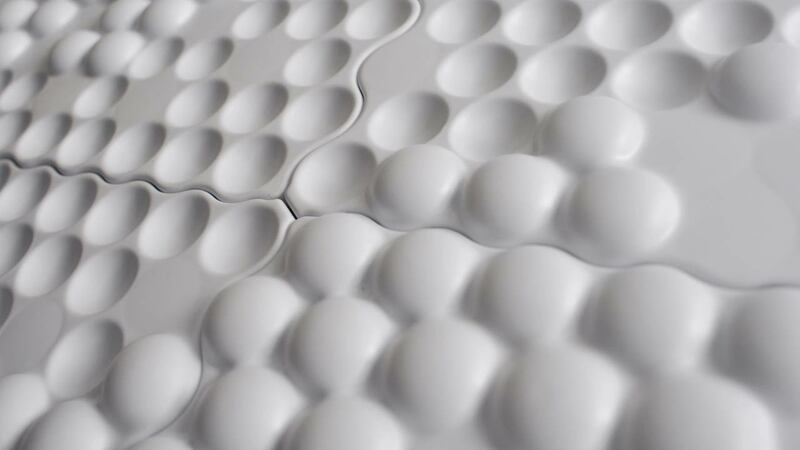 bitMAPS is a customizable wall system based on a very simple idea: vacuum forming over bubble wrap. 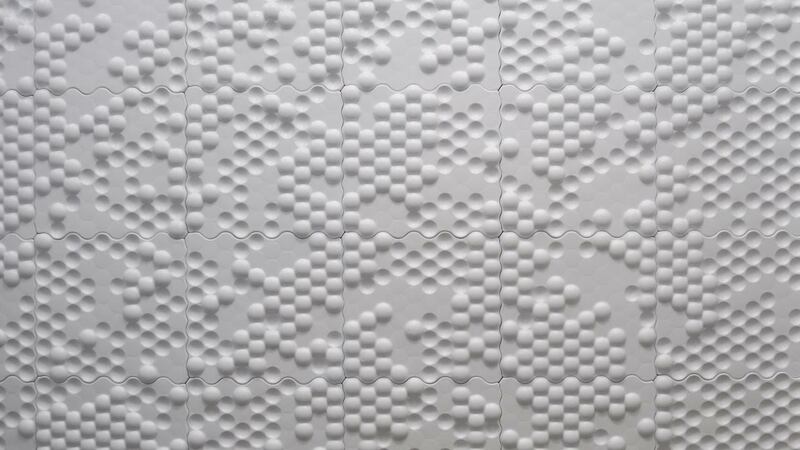 The original concept used varying popped sheets of bubbles to create variation, while this iteration uses a custom repeatable mold to create a complex texture that is engaging to sight and touch. Embedded capacitance switches, custom storage compartments, and openings for light and air ventilation are all integrated into the project. 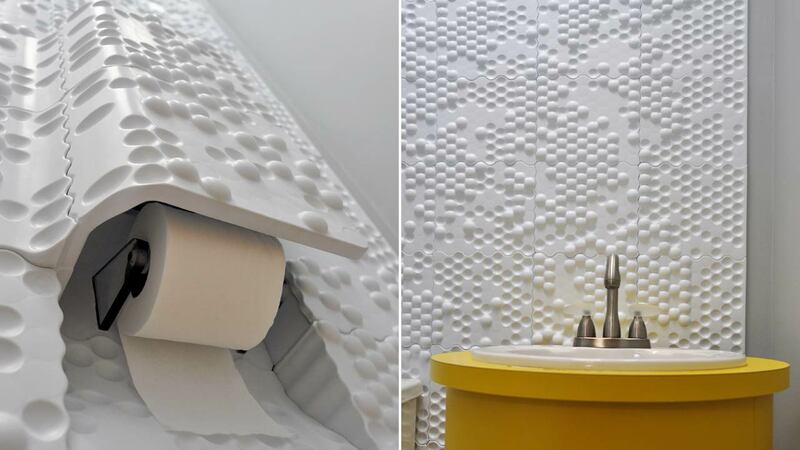 This project was commissioned for a private residential application, and applied on two walls and the ceiling of the client’s bathroom. The patterning of the panels originated from a bitmap image, using variable proportioning of positives, negatives, and flat pixels, as well as variations in distortion and noise. Many features were integrated into the system, resulting in a continuous pattern. The light and vent switches are completely hidden, integrated using capacitance sensing. Simply moving your hand in front of the specific “dimple” engages either the lights or fan. The “console” houses the majority of the bathroom’s accessories. 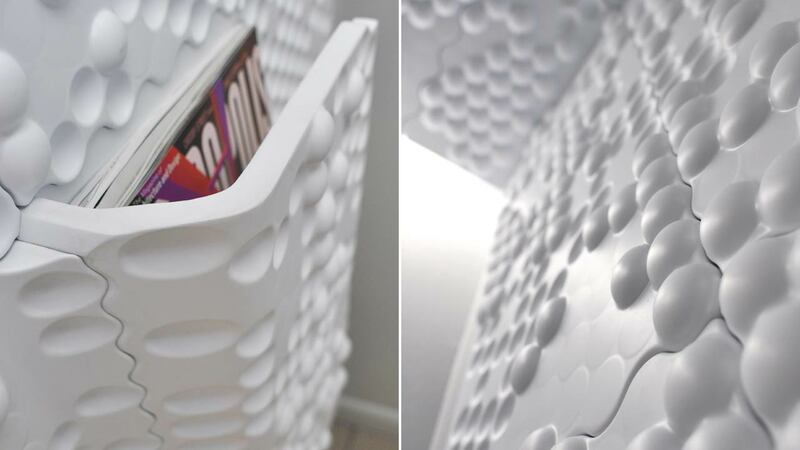 Custom panels extrude and recess from the rest of the system, hiding the magazine rack, toilet paper dispenser, and iPhone holder within a series of polycarbonate shelves. 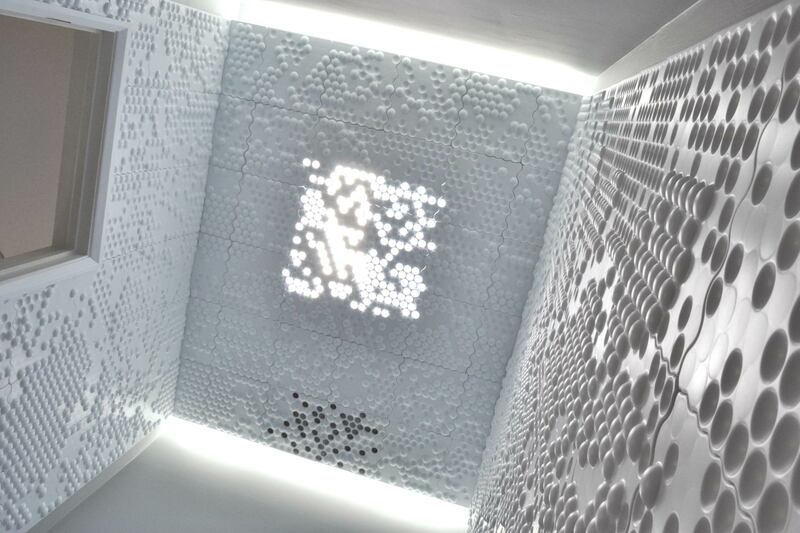 Other considerations such as the fan vent and skylight feature perforated panels allowing the passage of light and air.